I have always been good at managing a crisis – in fact, someone recently advised me to market myself as the best crisis communications expert in the world. While that seems a little ambitious, it is certainly true that working for one of the country’s largest unitary councils for nearly 30 years has given me plenty of experience in managing potential crises. So what kind of reputational issues might require the help of the best crisis communications expert in the world? For a start, I think even the best in the world might have needed a little time to think if they had been contacted by a member of the Ukrainian government for advice on managing the fallout from the fake assassination of journalist Arkady Babchenko. While the Ukranian secret service may have thought producing the supposedly deceased Arkady at a press conference was a stroke of genius, I would certainly have warned of the potential dangers of playing into the hands of those who want to accuse the media being fake and further undermining the public’s trust in journalism. While it is great that Arkady is alive and well, the operation has certainly damaged the credibility of the Ukraine and could cast doubt on the truth of future attacks on journalists both inside and outside Russia. Luckily, these are not the kind of issues which routinely face PR professionals in Cornwall – although some of the issues which have crossed my desk in the past 28 years have certainly required some careful consideration. Some of the biggest issues have been man-made problems, such as political feuds, negative Ofsted reports or the infamous Daily Telegraph ‘Cardgate’ story. Others have been natural disasters caused by flooding, ice and snow, or outbreaks of diseases such as bird flu and foot and mouth. 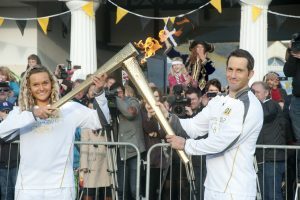 And sometimes they’ve been huge, county-wide events such as the eclipse, the Olympic Torch relay and the Tall Ships race. But each of them has helped me learn the importance of keeping a cool head. Dealing with natural disasters has usually involved spending many hours in the emergency centre deep in the basement of New County Hall, surrounded by a team of dedicated colleagues. While the individuals have changed over the years, the dedication of the whole team to providing an effective response has not, and I will certainly miss the sense of camaraderie created by taking part in conference calls at 3am. Cornwall has rightly received national praise for the way in which it keeps services going and local residents informed during severe weather incidents – witness the Coverack floods – and I am proud to have been involved. In contrast, dealing with man-made disasters has usually involved attending meetings with long discussions taking place to agree on the right approach. It is probably fair to say that, while I am equally proud of having played a part in protecting the council’s reputation on these occasions, I will not miss the lengthy debates. Although I am not likely to be called into emergency centre in the middle of the night in the future, I am hoping to use my skills and experience to help other organisations deal with potential crises. Every organisation is vulnerable. The days of playing ostrich – burying your head in the sand and hoping the problem goes away – are long gone, and if you don’t prepare for the worst, it takes far longer to resolve the crisis, with greater potential damage to your reputations. It is far better to consider all the potential crises that could occur and develop possible responses before something happens. Think about your spokespeople, and make sure they are trained in how to speak to the media. Identify how you will keep your key stakeholders informed and have a range of holding statements prepared to give you some breathing space. If the worst does happen, make sure you find out the facts before you react – “shoot first and ask questions later” is never a good approach. Make sure you have simple, clear messages – and above all, don’t panic.